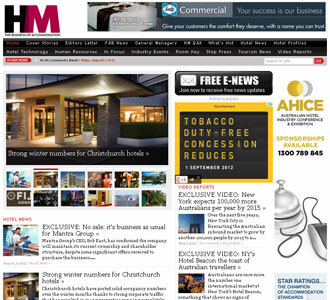 The website is first to market with breaking news, video, events and product launches from around the hospitality sector and updated each Wednesday and Friday via an e-newsletter – subscribe. In-room video content is a significant part of this website, allowing visitors to hear from industry luminaries and see in and around some of the most celebrated properties. Also available in print format and published bi-monthly, Hotel Management is read by all tiers of the hotel industry – from owners, fund managers and investors to CEOs, Presidents, senior executives, General Managers, Department Heads and Associates throughout the region.